Stressful moments on vacation are inevitable—but paying doesn’t have to be one of them. 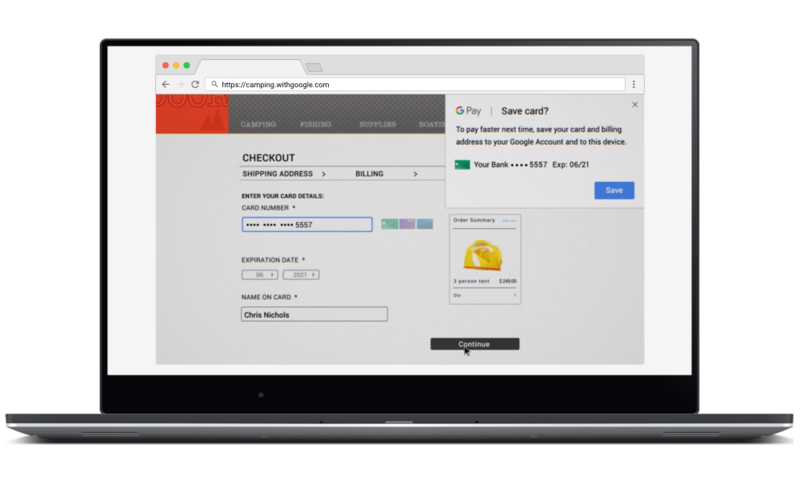 Google Pay makes checkout easier and more secure whether you’re in the planning phase or returning home. Here are some ways you can pay quickly and easily before, during, and after your next out-of-office. When you add your payment info to pay.google.com, you won’t need to enter it again when you’re signed in to Chrome. Instead, you can fill out forms automatically using the info you’ve saved. When you’re in the pre-vacation packing frenzy, shopping for even the smallest purchases can trip you up. Now, you won’t have to drop everything to find your credit card. 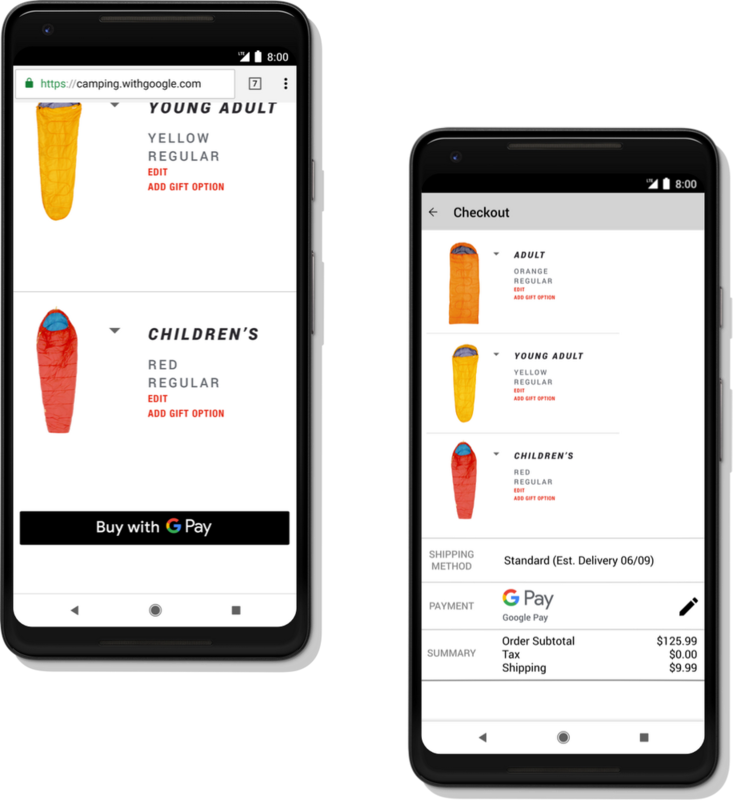 Choose Google Pay as your payment method within your favorite apps and sites, and all you'll have to do is confirm your purchase. Just remembered a crucial item in the middle of the night? You can ask your Google Assistant on your phone or Google Home to buy it for you. To set up your payment methods just say “Ok Google, set up payment methods” and follow the instructions. With Google Pay, you don’t have to hit up the ATM to pay Fido’s dogwalker—or anyone with an email address or phone number. 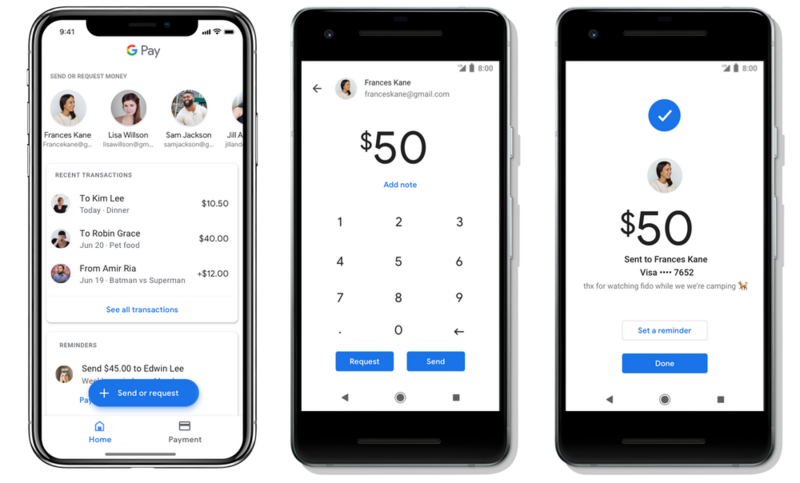 You can conveniently send money from the Google Pay app, on the web at pay.google.com, or even from Android Messages, iMessage, and Gmail if you live in the US. Haven’t picked up the local currency? With Google Pay, you can pay in millions of places around the world using your Android phone. To pay, download the app and set up a card if you haven’t already. Then, simply unlock your phone and hold it near the terminal at checkout. When you see a check mark, you’re good to go. Ready for your next adventure? 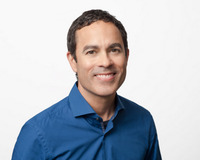 Start by getting the Google Pay app for Android or iOS. Then you’ll be on your way to stress-free checkout wherever you’re headed this summer.